Rescue Reston, the grassroots organization aimed at protecting Reston’s open space, has been selected by the Reston Citizens Association as its 2015 Citizen of the Year. The annual Citizen of the Year Award traditionally honors an individual who has contributed to the quality of life in Reston, helped others in need and acted with the goals of Reston in mind, without thought of personal benefit or recognition, RCA says. RCA chose Rescue Reston for its defense of Reston National Golf Course as open green space in a drawn-out legal battle of more than four years. RN Golf, the owners of Reston National, recently dropped their legal appeal in the effort to see if the course could be developed as residential. 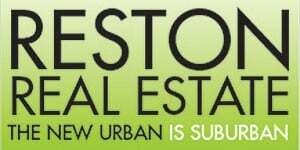 “Typically, RCA has awarded the honor to an individual from Reston, but chose Rescue Reston for 2015 because it greatly represents the things that make Reston very unique — strong community involvement and passion for core founding principles such as preserving open green space and having ample recreational facilities within the community,” RCA President Sridhar Ganesan said in a statement. “Thousands of citizens united behind the Rescue Reston cause, which resulted in a great public common good for Reston. Being an association of, by and for the citizens, RCA is proud to honor this organization that represents a citizen-led movement,” he said. Rescue Reston will be honored at the annual RCA Award Ceremony on Sunday, April 24 at 6 p.m. at the Reston Community Center Hunters Woods.